Sunset Boulevard was closed early Monday morning from Doheny to San Vicente Boulevard as firefighters responded to a blaze at 9000 Sunset Blvd. The fire, which send a large plume of black smoke high in the air, involved two vehicles parked at the rear of the office building. 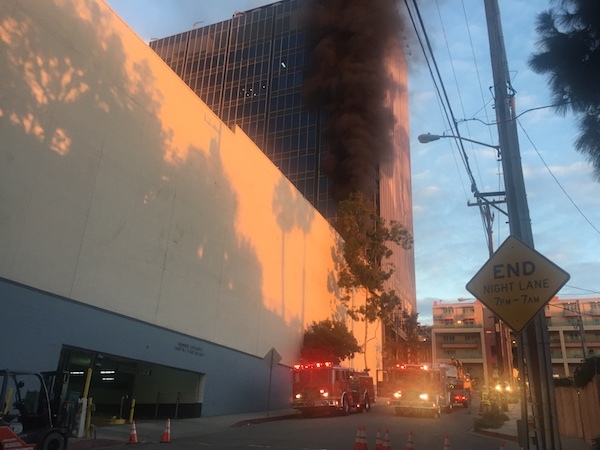 Responders from Fire Station 8 on Santa Monica Boulevard responded to the fire around 6:30 a.m. and Sunset was reopened by 7:30 a.m.